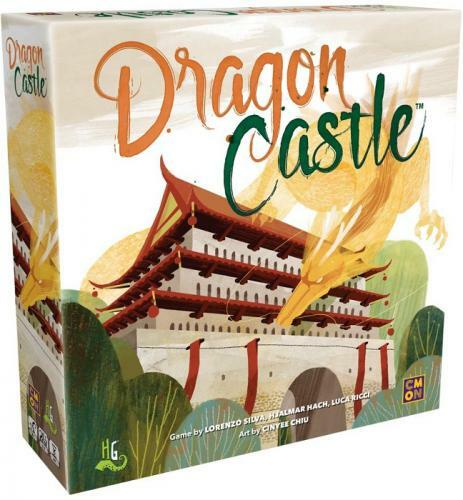 Fill in your details below and we will let you know within 24 hours if we can get Dragon Castle to you with haste! In Dragon Castle, players take on the role of one of the lords. They will have to use all of their cunning to build a castle that will inspire people to move to their realm. Each turn, players can collect tiles from the ruins and add them to their own construction. As they place sets of the same type of tiles together, they'll be able to consolidate them, earning points and allowing for the addition of Shrines. During construction, players will also need to keep in mind the desires of the Dragons and the Spirits if they want to score the most points. Tap into tradition to build the castle of the future.